It's a laser engraver that use use arduino with CNC shield and GRBL. This machine is designed to make the laser engrave in wood and opaque plastic, having an Arduino and the GRBL as machine automation basis. 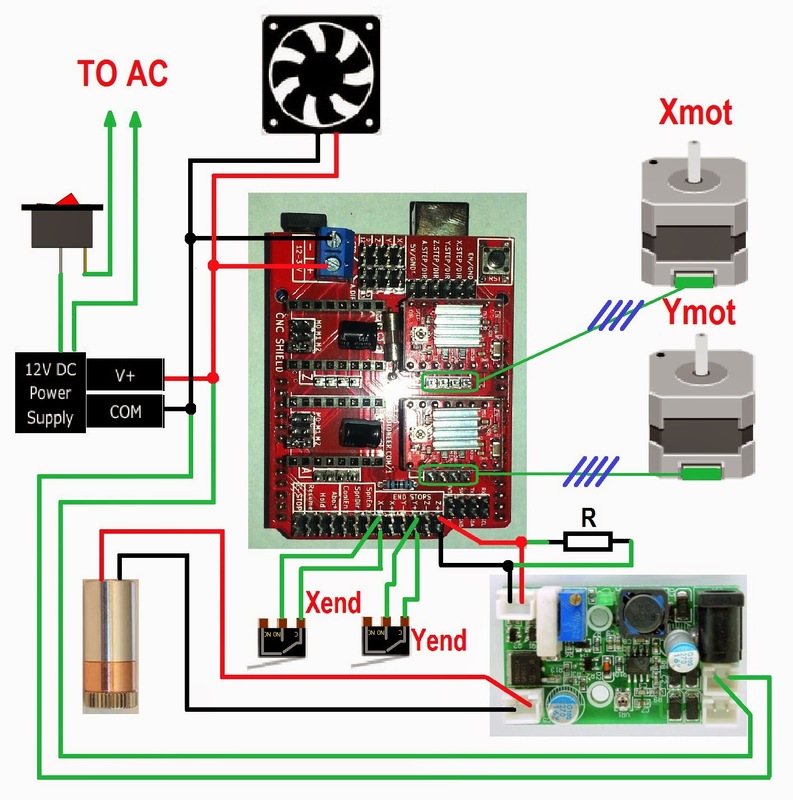 The machine axis are just the X and Y axis, which move a laser with power 1w 445nm, and this article aims to provide everything you need to make, without waiving of mechanical and electronic knowledge. With around 170 euros can make one. You will need some material for your machine, in which I produced a list of required material. You will need tools. Never look directly into the laser, always wear protective glasses, link these glasses are cheap and effective, look directly at the laser runs the risk of blindness and cataracts. Printed pieces in 3D, you'll need a 3D printer or else order from any website online already printed pieces. Necessary software (works only on Windows 7 or higher and requires framework 4), I used the CamBam (is paid) and 3DPsender, made by a developer who also made a laser engraver, call 3DPBurner.